Dark green/black coloring, pointed round shape, semi-bush habit. 2 lbs. on average. 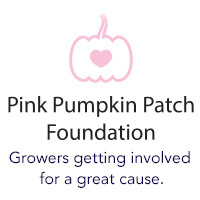 Powdery Mildew Race 1 & 2, Podi virus group. 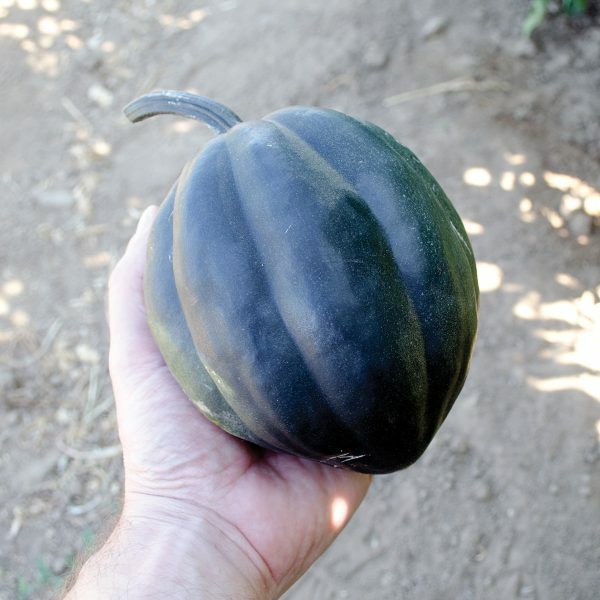 Black Bellota is an F1 Hybrid Acorn Winter Squash. Nice dark coloring, extremely high quality flesh, semi-bush habit. Black Bellota F1 also has a nice long shelf life of 6-8 months if not longer. 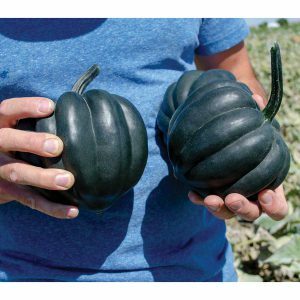 Great ornamental and edible squash.